If you are a business owner and you are worried about standing water or potential water damage affecting your establishment, call us and our commercial water extractors at 904-574-5100! Standing Water can cause multiple problems for business. It can be an OSHA violation for you and your employees, it can cause to an increase in vermin and insects to an establishment, and of course the extensive amount of structural damage that occurs is staggering. What to do When You Find Standing water? Identify the Leak – If you have the ability to stop the leak yourself, we insist you do it immediately. If you cannot stop the leak, stop the source of water. Turn off your emergency water valve, so water stops running to your business. 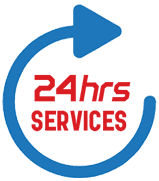 The Team at All Hours Emergency Plumber understands that plumbing systems can fail and when they do, it can create a chaotic and traumatic environment for the individuals it affects. A plumbing related flood may cause extensive damage to a home and considerable stress for the homeowner. We know plumbing floods, and when they happen, we know how to handle them from start to finish. A knowledgeable and State Certified plumber is invaluable during this type of crisis and should be the only person that you allow to address your plumbing issues. Call us today at 904-574-5100!